I don’t know why, but for some reason, this year I am reading mostly towards the end of each month. As a result, my posts on The Sunday Salon are sparse on what I am reading at that moment and often are looking ahead to what I might be reading next. Or are heavy on what we’re watching. On that note, this week I didn’t read a single book, and my wife and I binge-watched two shows: Stranger Things 2 and Broadchurch, Season 3. Both were very good. I especially enjoyed Broadchurch after what I thought was a disappointing second season, and it was good to see it end so well in its final season. Stranger Things 2, meanwhile, only got better in its second season. 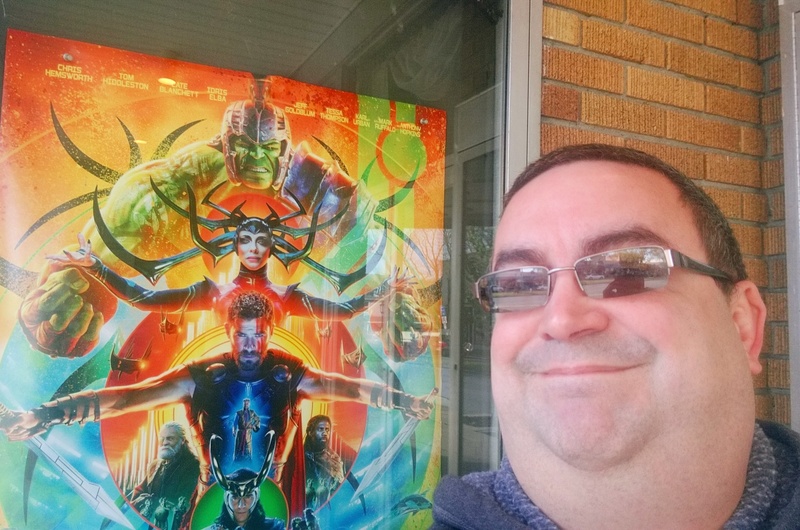 I also went and saw the new Thor movie by myself because Kim wasn’t interested, because she thought it looked too silly. It was very silly, but it was a good popcorn movie. As for what I am reading next, I am continuing to read the Nero Wolfe mysteries by Rex Stout. I am up to the seventh in the series, Over My Dead Body. Later in the month, I am planning on participating in the Thankfully Reading Weekend for Thanksgiving Weekend. I am thinking of starting a reread of The Lord of the Rings, which I haven’t read in years. As a teen, I read it several times and I think it is long overdue for a reread. I only found out recently that it was available on Amazon Prime Reading so I won’t have to try to hold up the one-volume print edition to read it. So how about you? Does your reading go up and down during each month? What are you reading, watching, or listening to good lately? Next Post 2017 Thankfully Reading Weekend — I’m in! I like reading a series in order but occasionally I read one without knowing there were previous books. I read Tana French’s third book first, having no idea there were previous books. I love her style. Oooo, Thor, we haven’t seen that one yet but want to. Now as for Broadchurch I loved season one, liked season two but ended up not liking season three. Why didn’t you like season 3? Just wondering. I’m not sure, Bryan, I think it moved a bit too slowly for us. Season one was my absolute favorite and while the acting and drama were good in 3 (it felt real) we didn’t make time for it as we have other series. hey, I saw (according to my phone weather app) that you had snow a few days ago. Did you get photos?! My son and husband saw the new Thor flick and liked it. My reading has been happening but in spurts. I tend to read a lot one day and then nothing the next. I wanted the first episode of Stranger Things, Season 2 and was kind of not impressed. In all honestly I was trying to work on something while watching it. I may have to go back and rewatch it. It starts slowly, but picks up about episode 3. I think any reading patterns I had have fallen apart lately, and I am not certain why. I do think I am reading less, even though I am on pace to read about ten more books than I did last year. I guess I don’t feel like I am reading as much throughout the week or the weekends. I need to find a way to incorporate it more often into my schedule again. I am waiting to watch the latest Thor movie and the upcoming Justice League movie until it comes out on DVD. Both look fun but a bit campish. Watching it at home means I can yell at the screen if things get over-the-top crazy in any way. I’m glad you enjoyed Thor though! The Nero Wolfe mysteries don’t have to be read in order, because each is really a standalone. However, I’m a stickler for reading series in order so I usually do. I’m always impressed by how consistent you are with Sunday Salon posts. Last week I finished up several books I’d started that business/life slowed down my reading of. The most recent being The Leader’s Bookshelf by Stavridis and Ancell — a good read for bookworms in general and no doubt a great reference for folks looking to enhance their leadership skills. Laura and I went to see Victoria & Abdul. It was good, but it didn’t blow me away. Really looking forward to seeing Murder on the Orient Express this week. I don’t think I’ve read any Rex Stout yet. Do you recommend reading his books in chronological order?